When a patient is diagnosed with one of several blood cancers, he or she may receive extremely expensive drugs to combat the disease. Researchers at the University of Texas MD Anderson Cancer Center have concluded that most of these drugs are too expensive to be considered cost-effective, even when they prolong the patient's life. Researchers Jagpreet Chhatwal and Hagop Kantarjian had long been concerned about skyrocketing cancer drug prices. So they were a bit surprised, to say the least, when they read a 2015 report suggesting that hematologic cancer drugs provide good value for money. They decided to do their own investigation. They found that the 2015 study calculated cost-effectiveness for these drugs based on 29 studies of 9 treatments for hematologic cancers. But many of the studies were performed years ago, when drug prices were much lower than they are now. Also, they often included prices from countries outside of the U.S., where prices are controlled. So Chhatwal and Kantarjian decided some new research was in order, using today's U.S. prices for the drugs in question. And they came to a completely different conclusion. First, it's important to define “cost-effective.” The researchers say a threshold value of $50,000 to add an additional quality year of life is widely accepted as cost effective. After re-analyzing 20 of the 29 studies with updated drug prices in the current U.S. market, they found that 63% of those studies had costs per additional life-year higher than the $50,000 threshold. Several studies found costs of $210,000 to $426,000 per additional life-year, many times higher than conventionally accepted levels. One of the drugs, imatinib, was priced at $26,000 per year of therapy in 2001 and $132,000 per year in 2014. Chhatwal says the price increase in imatinib and other drugs they studied is not the result of new and improved versions, but instead is simply the result of rising prices charged by drug companies. Since many of these drugs are required to be taken daily for long periods of time, the researchers say many patients will be forced to decide between using financial resources to prolong their lives and saving money for their families in the future. 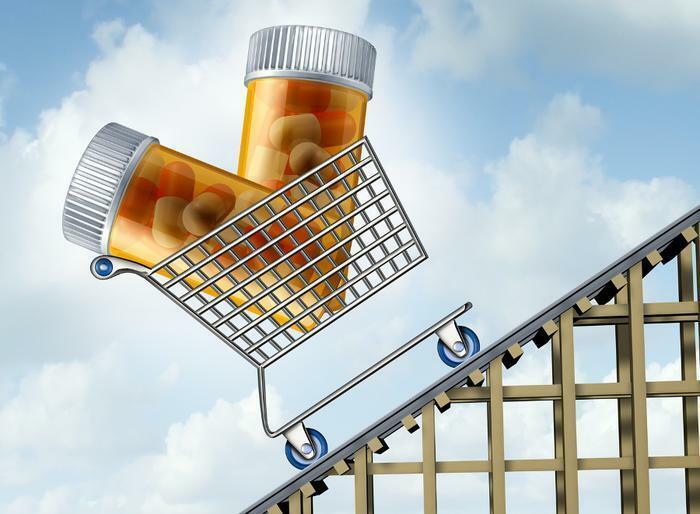 They conclude that regulating the cost of new treatments, as done in many European countries, will make health care more affordable and valuable for patients and providers in the U.S.
Other researchers have recently expressed alarm at rising drug prices. In April we reported on researchers at Oregon Health & Science University (OHSU) and Oregon State University who cataloged a huge increase in the cost of drugs to treat multiple sclerosis.